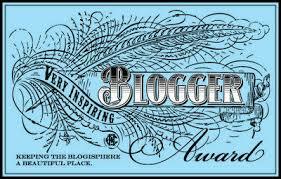 This entry was posted in Home and Family, Other and tagged Little Lonsdale Group, Lord David Prosser, Lord Of Bouldnor, Penguin Books (Australia), Random House, Simon & Schuster, Social Insects, The Barsetshire Diaries, Very Inspiring Blogger Award, Wasp Season by jenniferscoullar. Bookmark the permalink. They say it takes all sorts to make the world. That makes it easy for me to forgive you being an Aussie Republican. There are some things in life we just can’t help Jennifer. I’m one of those happy souls to be living in a Monarchy and to have great respect for our Royals. I think the countries who retained their Royal Houses tend to do better than Republics with no real heads and more often concerned about themselves than the people they serve. But, our differences in no way stop us being great friends as well as fellow bloggers. Thanks so much for entering into the spirit of the award. I hope you have as much success with your nominees as I had. I’ve met some of the nicest people this way and some excellent writers. Sending you Huge Hugs, David. ps. Strictly speaking protocol doesn’t allow me to be called Lord David since it’s just a Manorial Title. I’m David Prosser, Lord of Bouldnor but there wouldn’t be room on a book cover for that would there? No worries Whitney. You are a genuine inspiration, having achieved so much at such a young age! Congratulations Jennifer! Reading through your 5 unusual things, I was amazed that you drove a tractor for a living! I’m sure your varied past has enriched your writing in ways you probably aren’t aware of. Bravo! -grin- Indeed. Mine include black leathers and motorbikes!